Peaceful, timid with larger fish. Live food, unless weaned onto dry foods. Should be kept in a group of 6 or more as they will set up a hierarchy, much like cichlids. Females are more colorful than males, unlike most species. 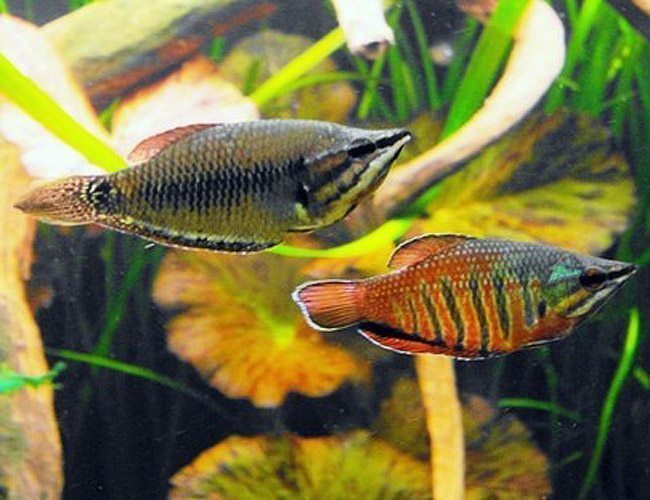 Males will remain brown, while females will have a red and green color during breeding season.